Federal Eng. and Pub. 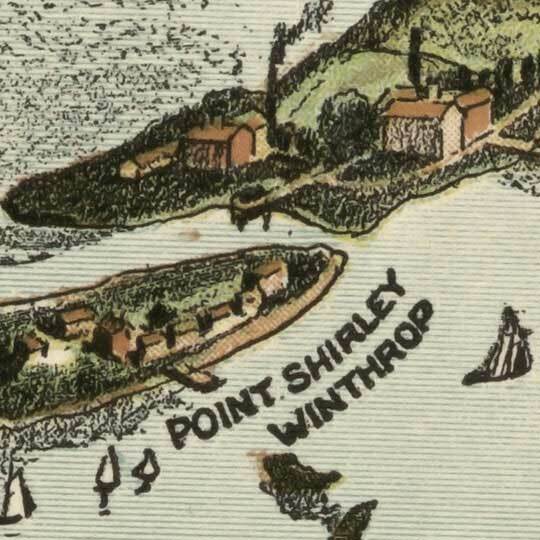 's birdseye view of Boston Harbor in 1920. Author: Federal Eng. and Pub. 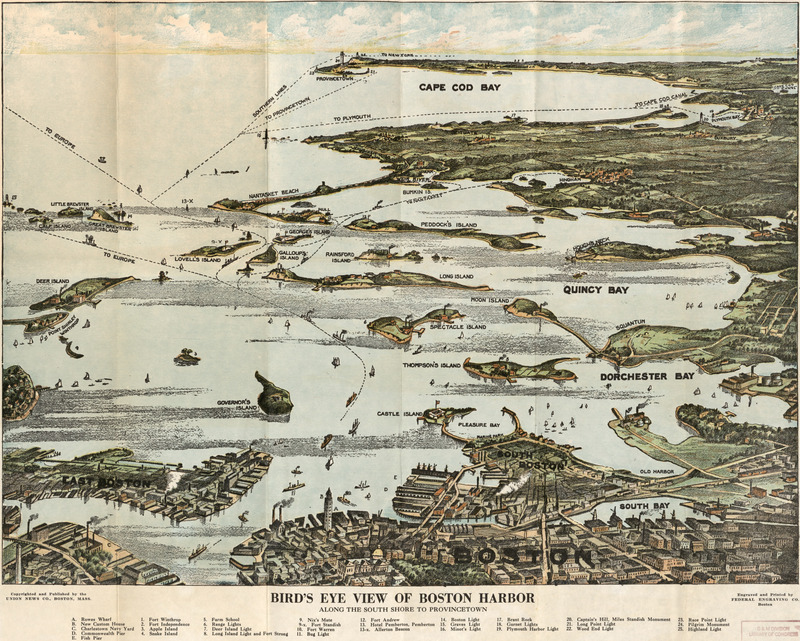 A lively and fun map of Boston Harbor [gmap] done by the Federal Engraving Co. of Boston. This has got a lot of charm. It's unique in that it is very much focused on the water body, leaving the city to the periphery. It takes a special and well-used body of water to pull that off; which this does.